The first single from M3NSA’s coming album, “SDI”, comes with a soothing verse from Amaa Rae and a music video to booth. M3NSA hinted at his coming project on Instagram while shooting the music video. The new single listens like protect music against oppression and the video runs like an hopeful highlight reel, celebrating their carefree attitude through a breezy and vibrant music video. 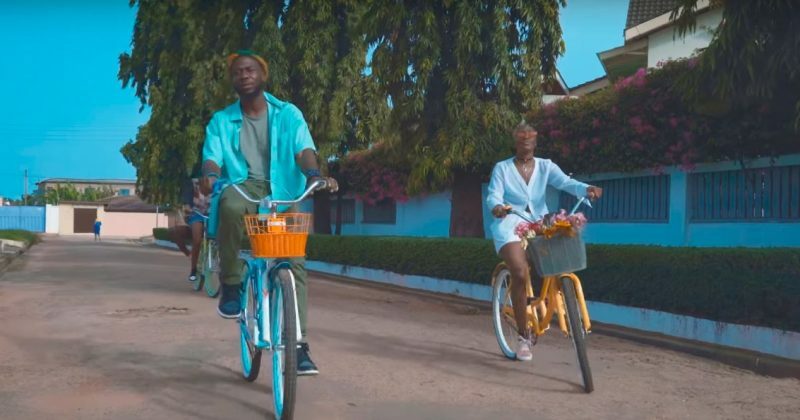 While M3NSA and featured artist, Amaa Rae, revel in their collective brilliance singing “We No Go Fit To Backslide Oh”, the music video captures the more ethereal ambiance of the dream pop beat M3NSA produces with layered synths, twangy guitar melodies and scatting drum riffs. Each frame is made vibrant by the backdrop of brightly colored building walls and the clear blue skies as we watch M3NSA rapping along to his lines before joining Amaa Rae who rides her bicycle around a peaceful neighborhood. The video ends with M3NSA riding into the sunset in a classic ride, with the top down. You can watch the music video for “SDI” below.